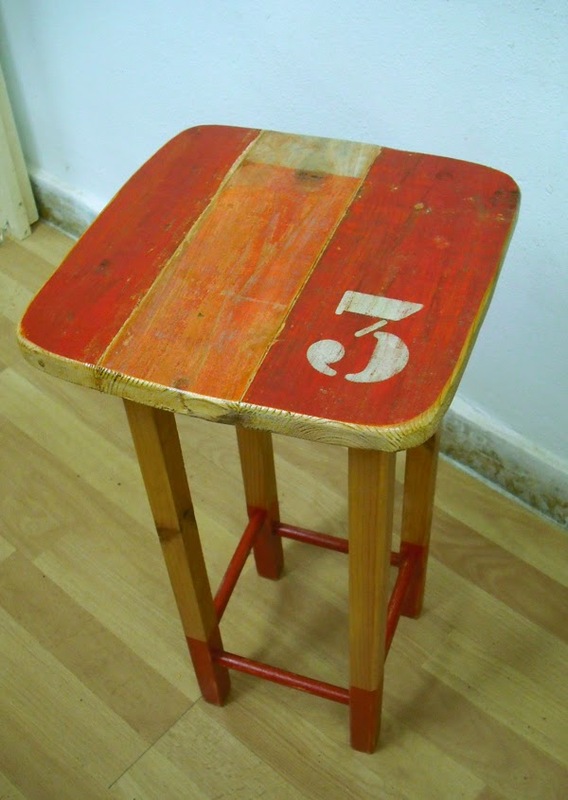 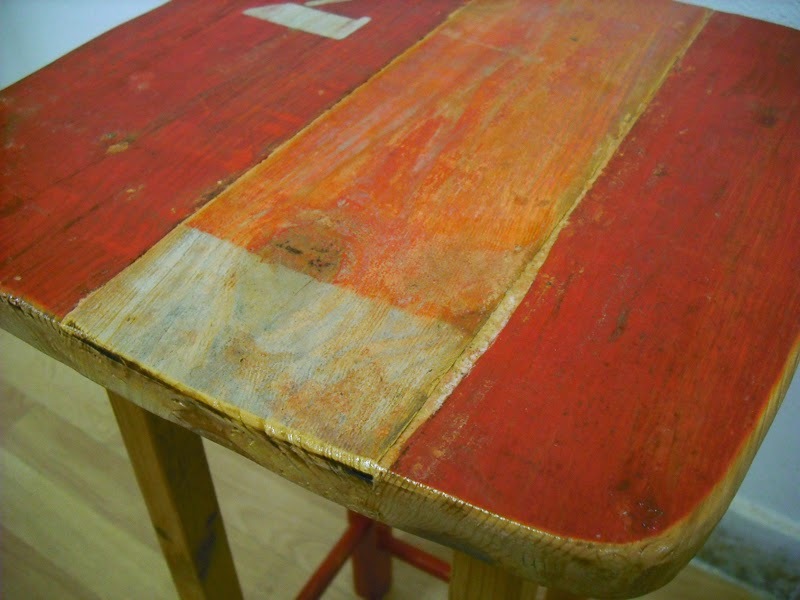 A cute, medium-high wooden stool made with old reclaimed floor boards that already had a gorgeously distressed red paint, and pine wood legs taken from a side table, 'dip-painted' in a matching red. 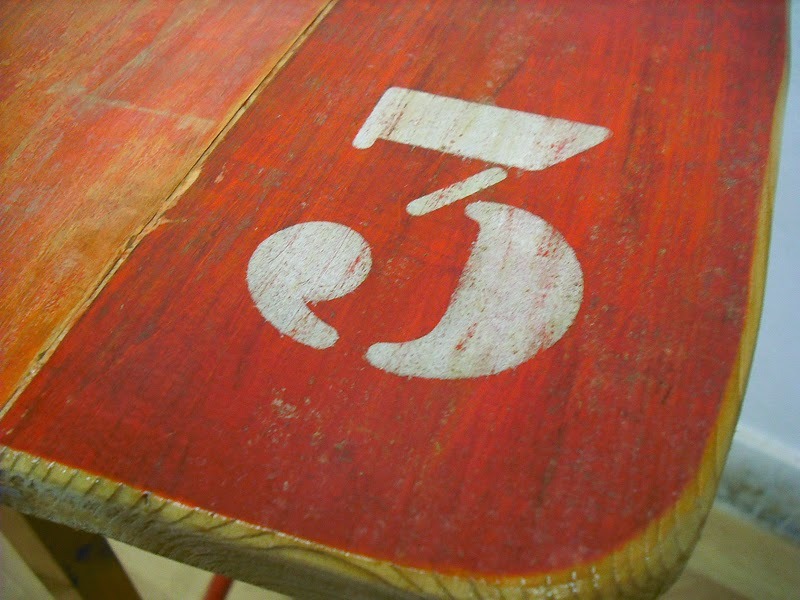 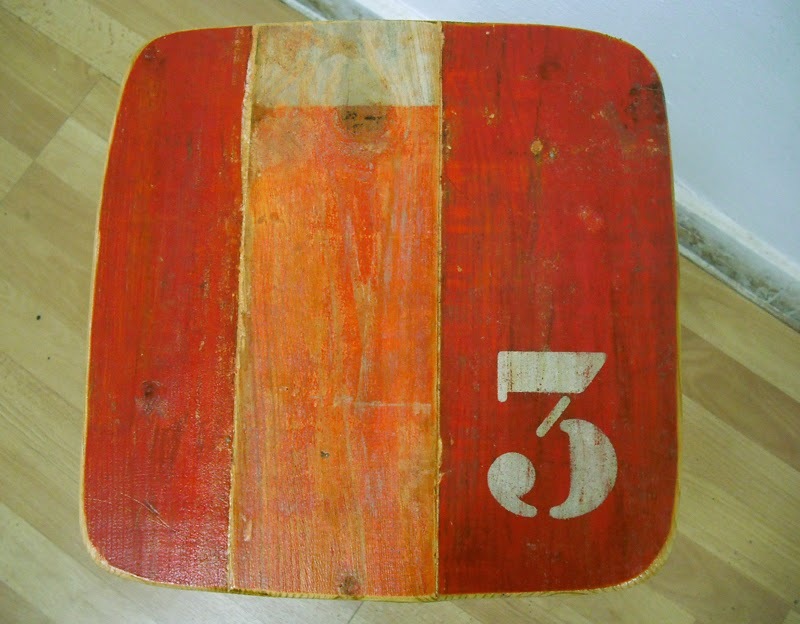 A stenciled number 3 in off-white completes the rustic, industrial feel of this piece. 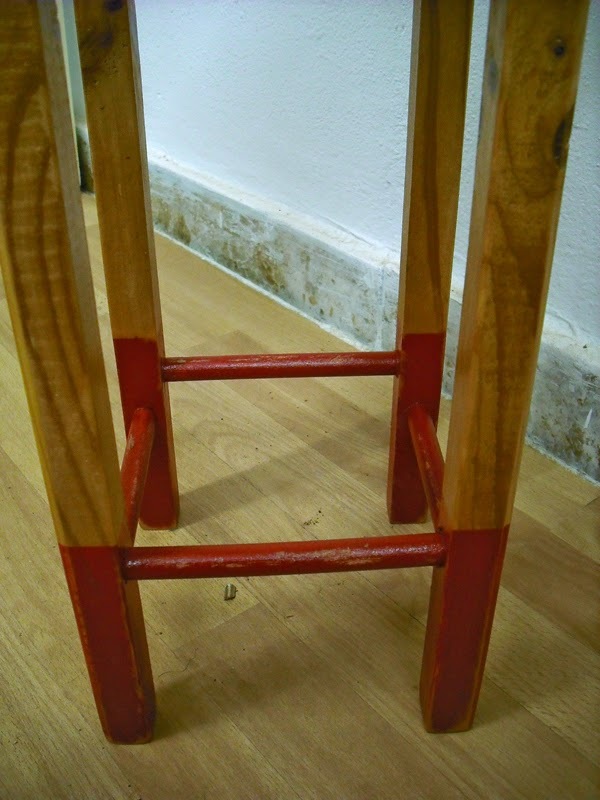 Alternatively, it can also be used as a tall side table or as a stand for a flower pot. 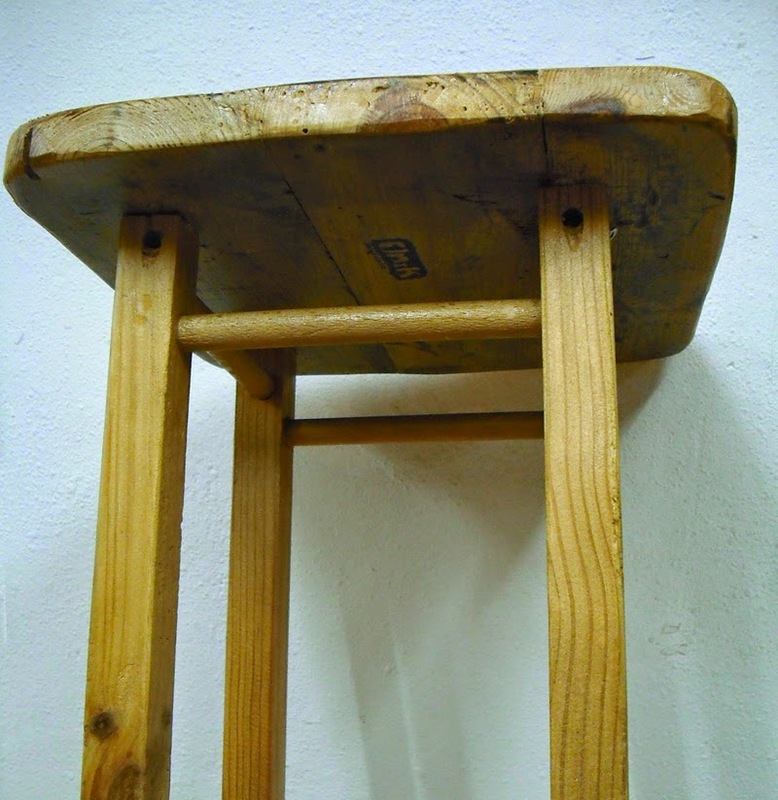 Measures: 30 x 30cm, 60cm high.